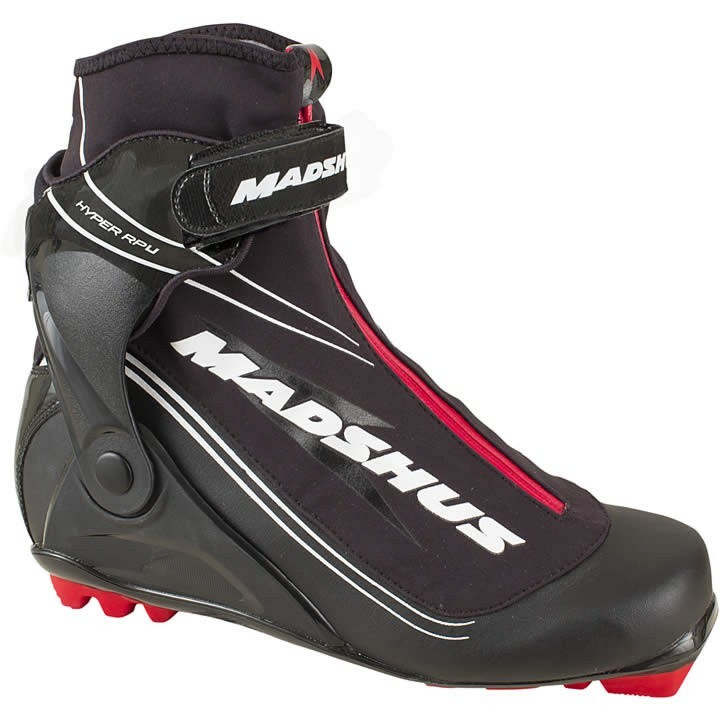 Combine the best performance characteristics of the skate and classic Race Performance Nordic ski boots and you get the Madshus Hyper RPU. The lower height and greater performance of the R3 outsole creates superior construction in the RPU. As a combi boot, it delivers precise forefoot flex for classic skiing with torsional rigidity and ankle support to maximize skating performance with the added fit of RevoWrap™ technology. Lacing Fingers: Providing the best-fitting Nordic boots requires a lacing system that secures the entire foot. Madshus' Lacing Fingers reach far below the boot's visible lacing system to the bottom of the boot, securing the forefoot laterally and medially with balanced lacing tension. RevoWrap™: RevoWrap™ construction envelops the foot with a single piece upper, from the heel around the toe and back to the heel and from the outsole up to the lacing on the eyestay. The upper materials conform to the foot with minimal seams, providing even pressure distribution. As you tighten your laces, it pulls directly on the upper material connected to the outsole, which help delivers a snugger, more comfortable fit, leading to precise control of your skis. PVC Free: In keeping with Madshus' commitment to protecting the climate, Madshus RED, Champion, Race Performance, and selected Backcountry and Junior boots are designed for the best in fit and breathable performance, in a totally PVC-Free construction.